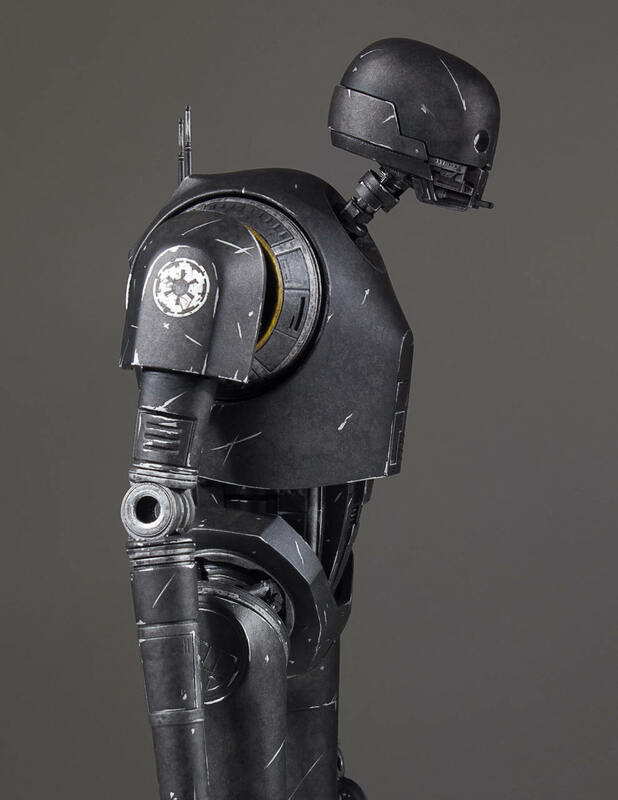 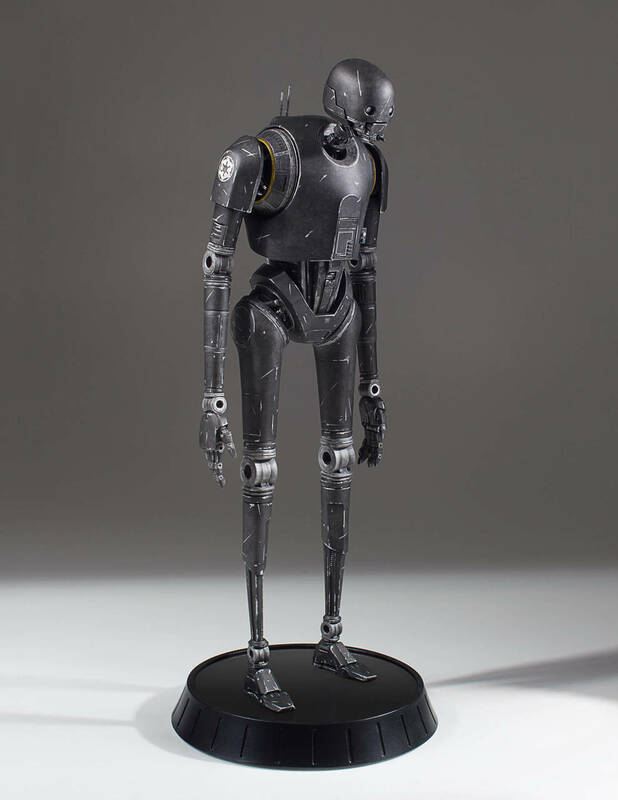 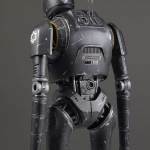 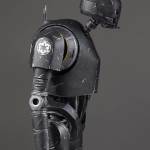 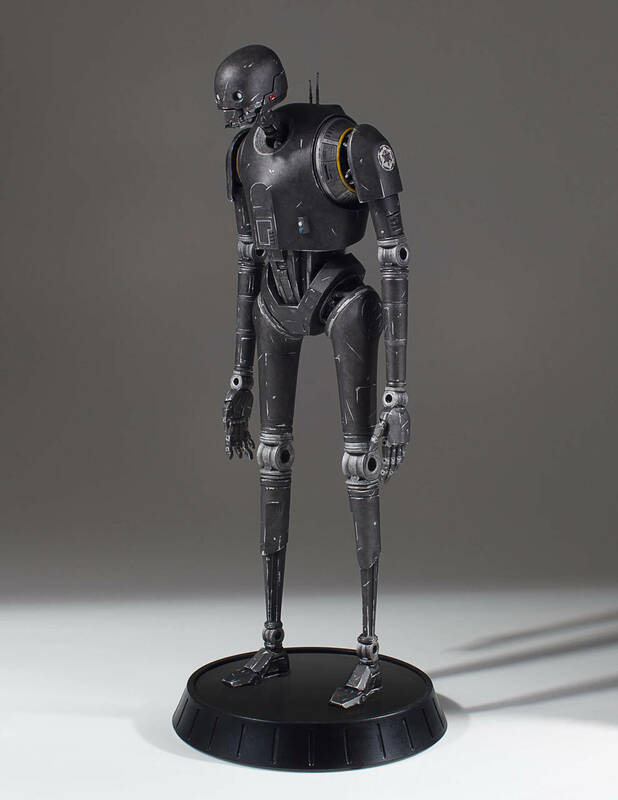 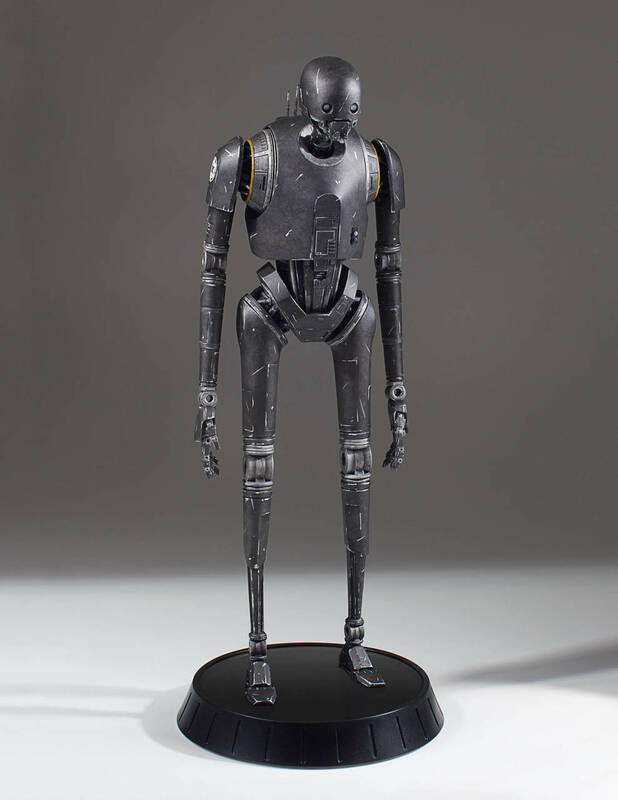 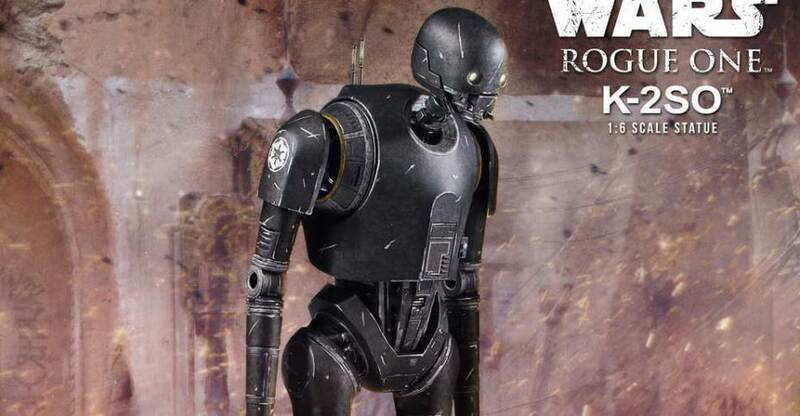 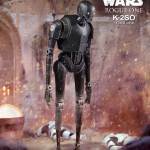 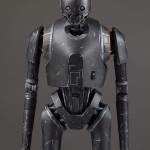 Gentle Giant has opened up pre-orders for their new Rogue One: A Star Wars Story – K-2SO 1/6 Scale Statue. 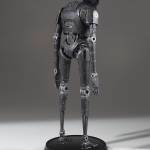 The statue was designed using the original 3D data and models used in the film. 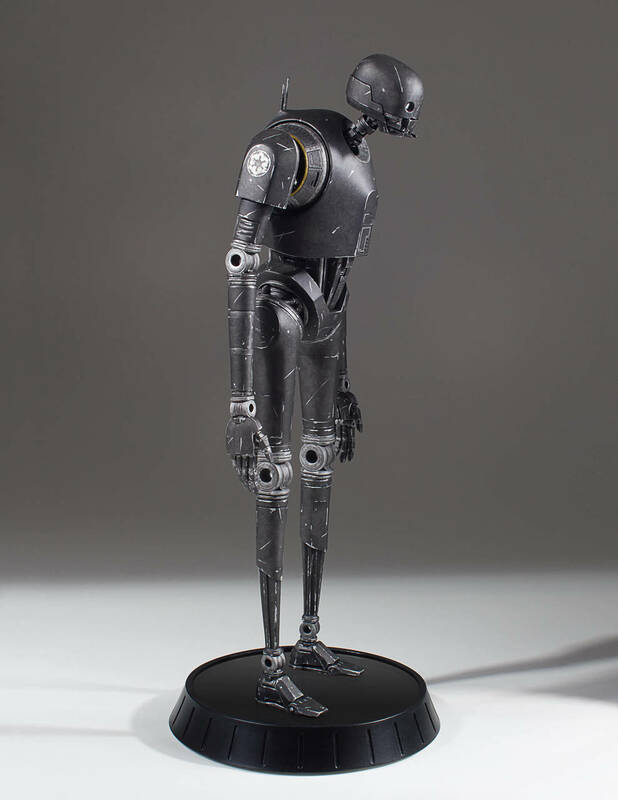 The statue is priced at $249. 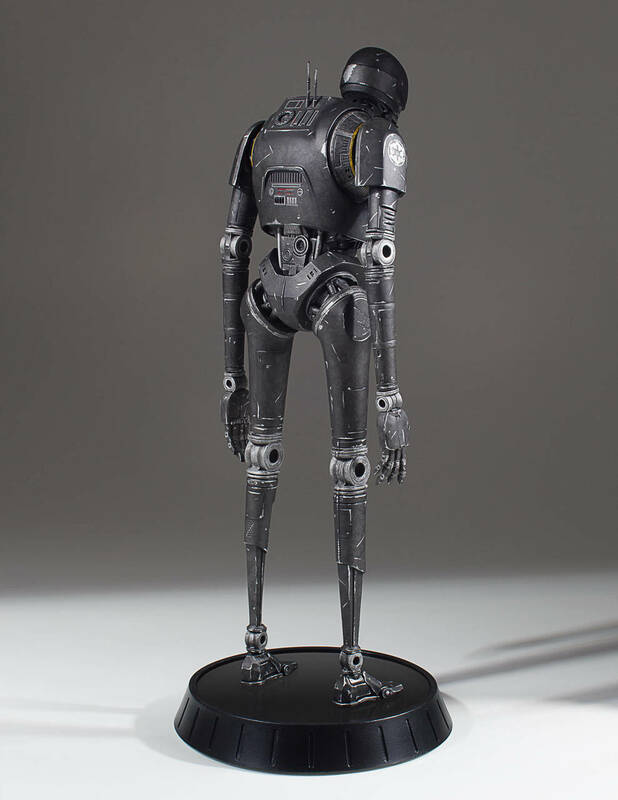 the official release date has not been announced at this time. 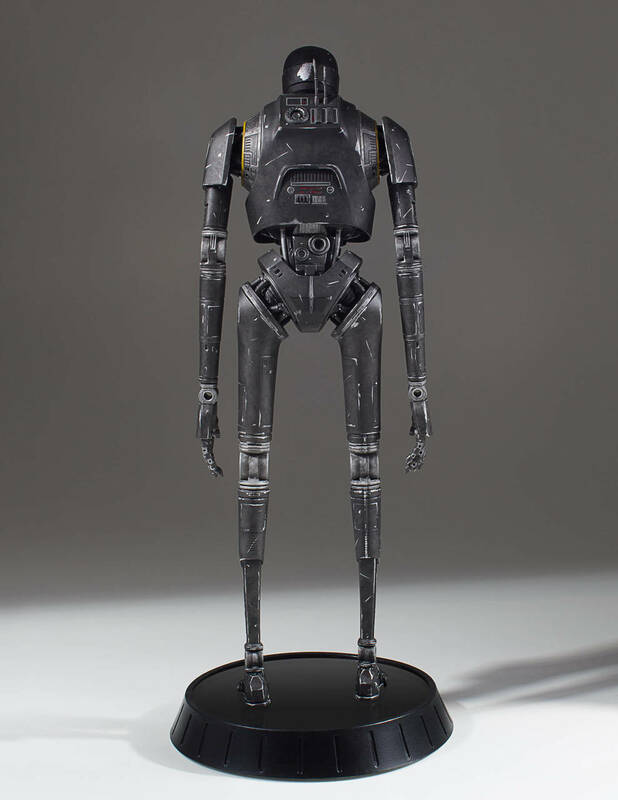 You an pre-order the statue by Clicking Here. 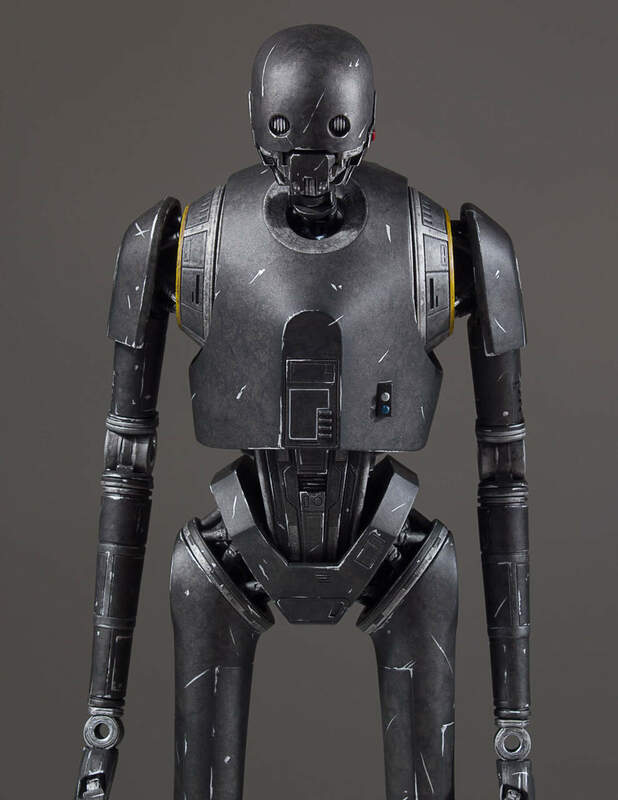 The new photos can be seen after the jump. 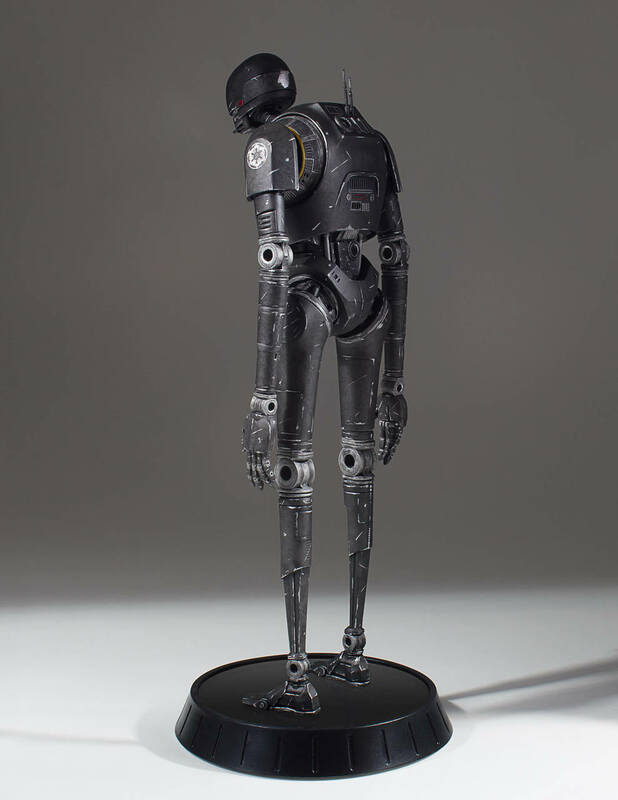 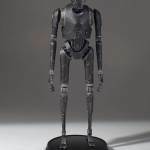 K-2SO, a reprogrammed Imperial security droid now loyal to the Alliance, is an alarming sight standing within a secret Rebel base. 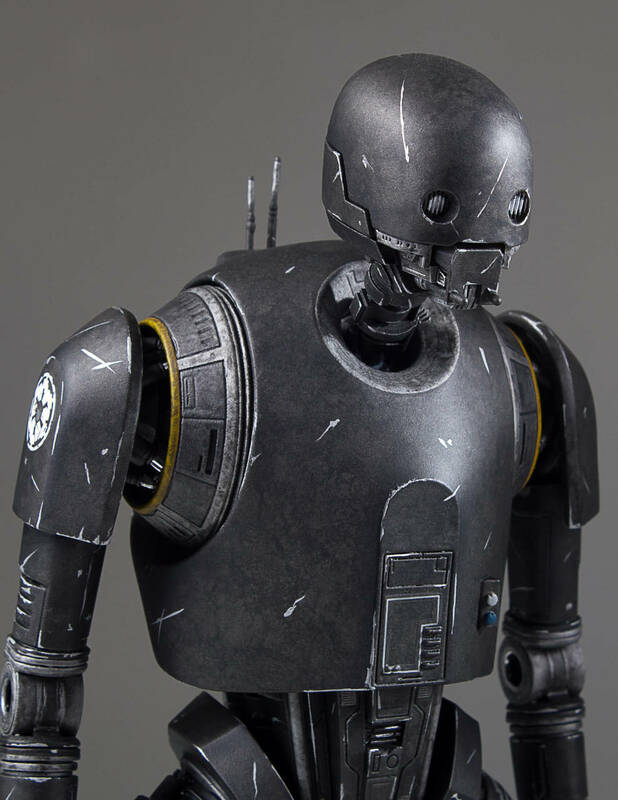 The pragmatic and somewhat cranky droid is an effective insertion agent, as he can blend in perfectly at Imperial installations and outposts. 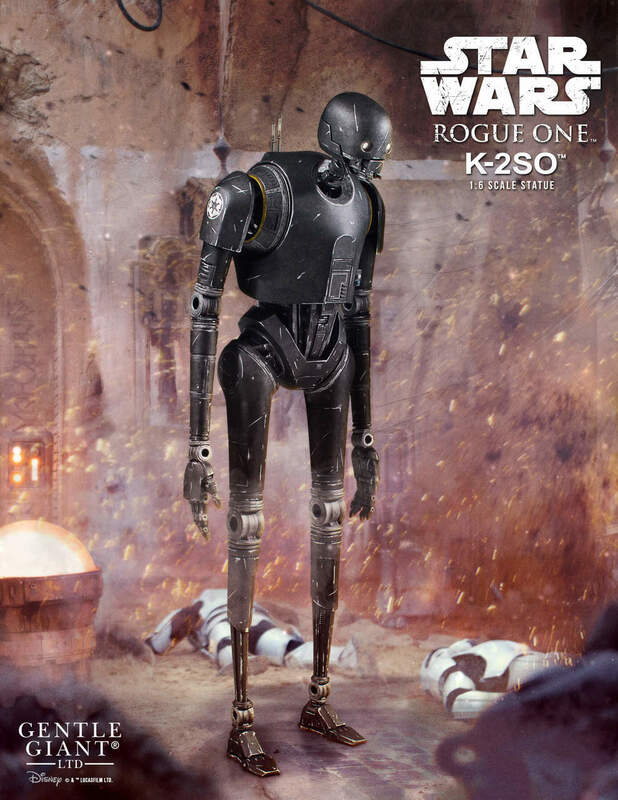 K-2SO is the partner of Captain Cassian and is content to pilot him around as he gathers intel to help the rebellion. 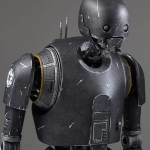 K-2SO becomes a reluctant participant in the rebellion when the missions shift to infiltrating heavily secured Imperial occupied areas. 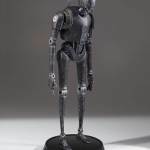 Towering over his fellow rebels, many of the team are unsettled by his presence and do not trust K-2SO’s new programing enough to entrust him with a blaster. 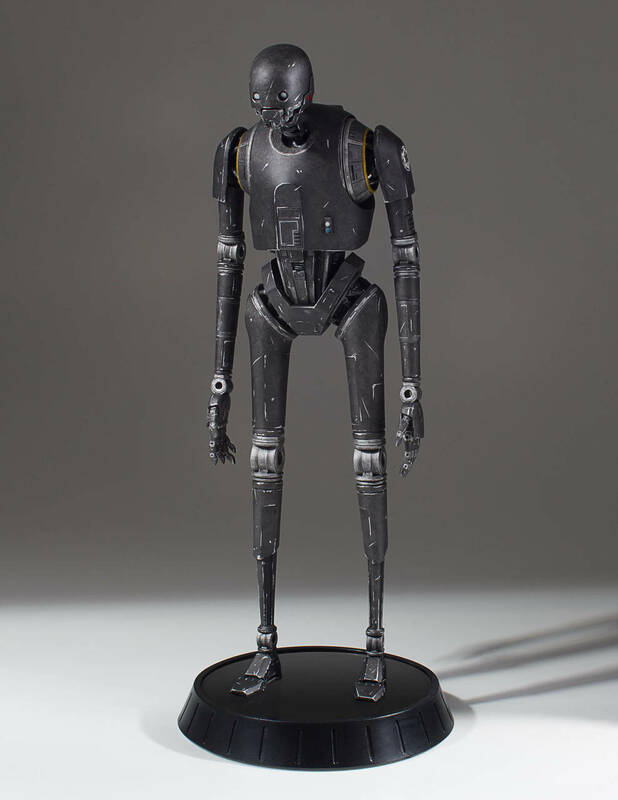 Ultimately, K-2SO proved himself a hero as he sacrificed himself on Scarif to ensure the remaining rebel forces were able to secure the plans to the Imperial Death Star! 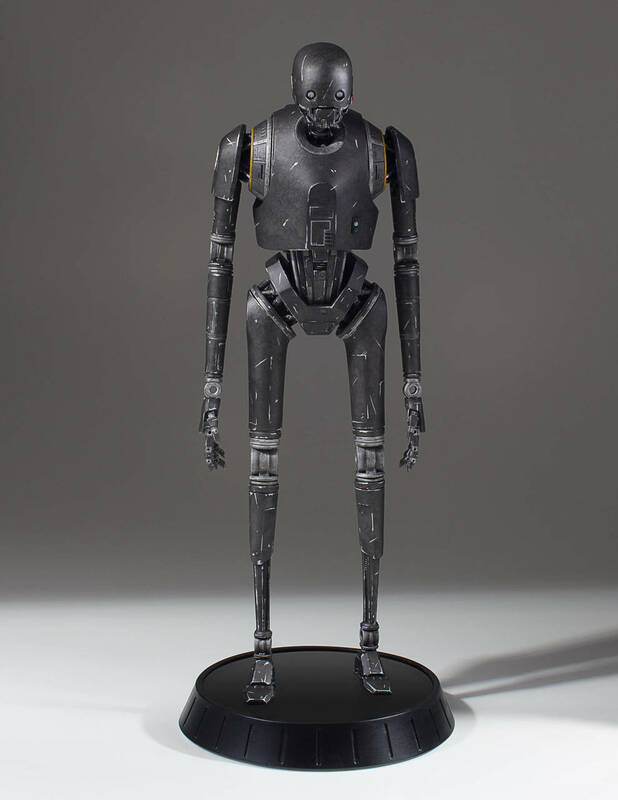 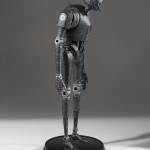 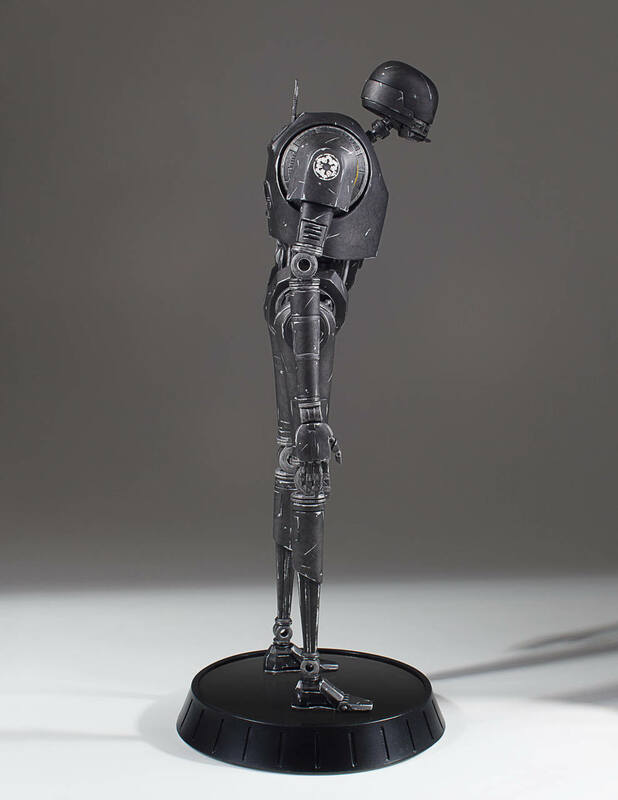 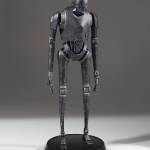 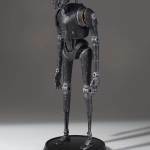 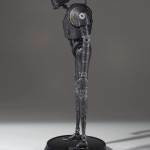 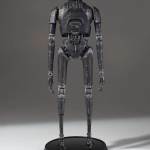 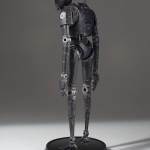 Designed using the original film models and 3D data, K-2SO’s hulking stature and intricate inner workings have all been captured in this high-quality, hand-painted 1:6th scale statue. 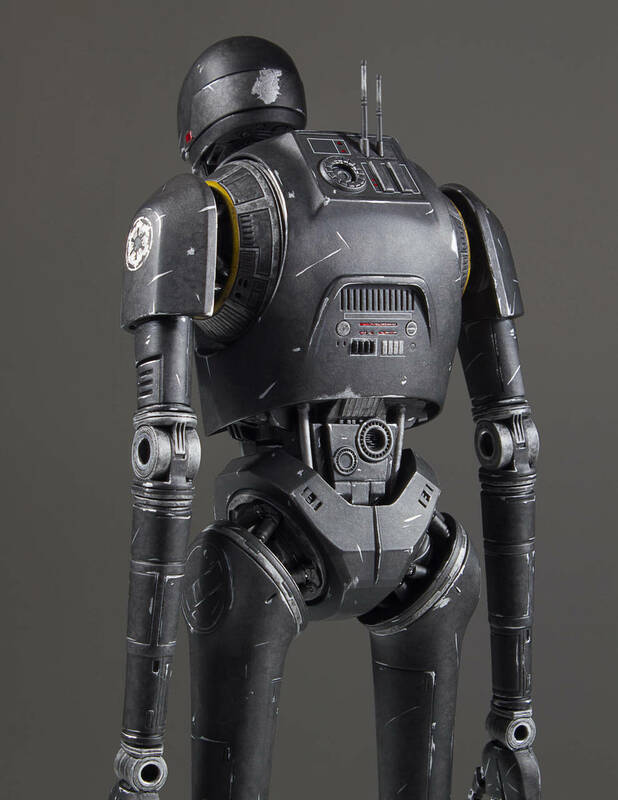 Every scratch, piston and servo is intact for this stunning new statue from Rogue One: A Star Wars Story. 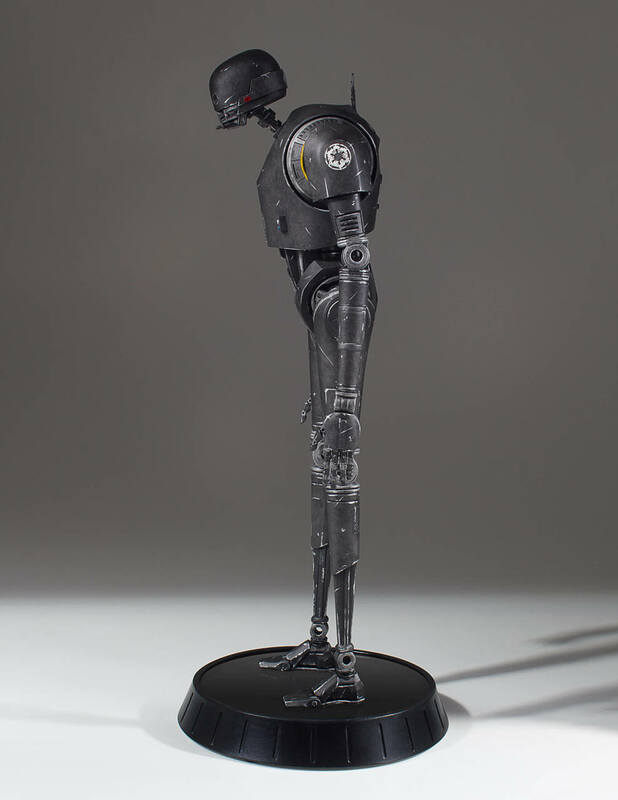 Looks cool but I think if I wanted 1/6 scale I'd just get the Hot Toys and then would be able to move it a little.